The Quality Team Project (http://quality.kde.org) was launched this year with a lot of fanfare in the user community. But what is the point of the project? What has it achieved, and what can it achieve? In this presentaton, I intend to outline the key benefits the Quality Team Project brings to the KDE project as a whole, and to individual developers. I will begin by discussing the scope of the project, touching on the various areas in which Quality Teams work (code, documentation, UI, bug triage, communication and promotion), and how the Teams can work with developers and the user community. I will then develop this understanding of the teams, showing how it solves various problems the KDE developer community already faces, and that will only get worse without this project. I will sum up by discussing how KDE developers and users can make the teams work, again both for the project and for individuals. 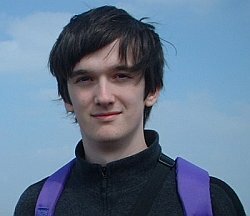 Tom Chance is a student reading Philosophy and Politics with an active interest in Free Software. He is interested in and involved with political activism (from trade and the environment to software patents and GNU/Linux) as well as the technology behind projects like KDE. After years of indecision with pet projects, he helped set-up the Quality Team Project with Carlos Leonhard Woelz, and now also contributes with some journalism. He is also currently setting up a Creative Commons project in the UK, and working with the UK Government on a new wiki.